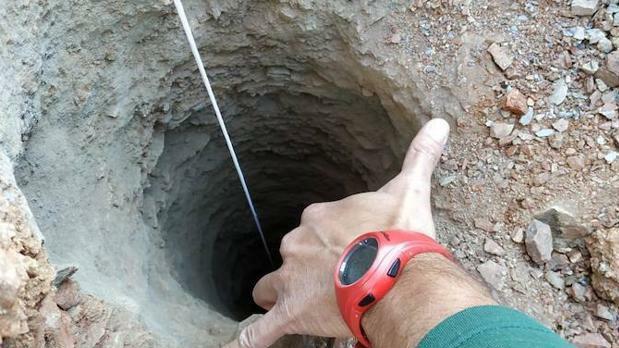 Rescue teams scrambling to find a two-year-old who fell down a well in Malaga have found hair belonging to the toddler 73 metres below the surface, Spanish media reported on Wednesday. Young Julen was reported missing on Sunday, with his father telling the police that the child had fallen down a deep well just 25cm wide in a field while the family visited a cousin’s property. More than 100 people have been deployed to help in the search for the boy, which is complicated by the tiny size and deep nature of the well, with the risk of collapsing walls further compounding the difficulty. The traces of the child’s hair are the second indication that he fell into the tiny well. On Monday, a robotic device sent down the well found a bag of candy he is believed to have been holding when he fell. That clue was found 78 metres down, in a layer of wet sand which is believed to have been dislodged from the sides of the well. Firefighters have said that the likelihood of finding Julen alive are diminishing by the day. "We do not know how deep the borehole is, we do not know if there are water currents, or if there are any pockets of gases or air,” one firefighter told local news outlet Diario Sur. There could still be hope for the toddler if he ended up in an air pocket and was insulated under a layer of mud, he added. “There have been other cases when this miracle has occurred,” he said hopefully.